Beta-1,3-N-acetylglucosaminyltransferase involved in the synthesis of poly-N-acetyllactosamine. Catalyzes the initiation and elongation of poly-N-acetyllactosamine chains. 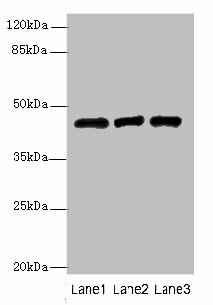 Shows a marked preference for Gal(beta1-4)Glc(NAc)-based acceptors (PubMed:9892646). Probably constitutes the main polylactosamine synthase. 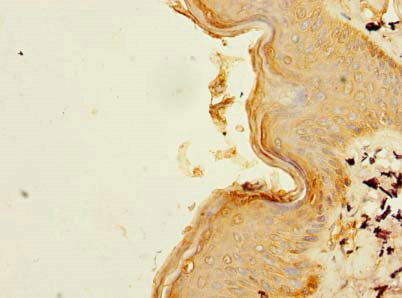 B3GNT2 Polyclonal Antibody. Unconjugated. Raised in: Rabbit.